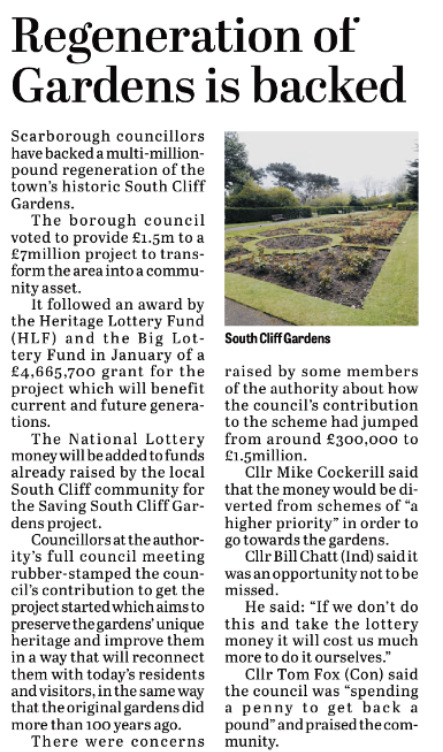 Heritage Lottery Bid for South Cliff Gardens SUCCESS! 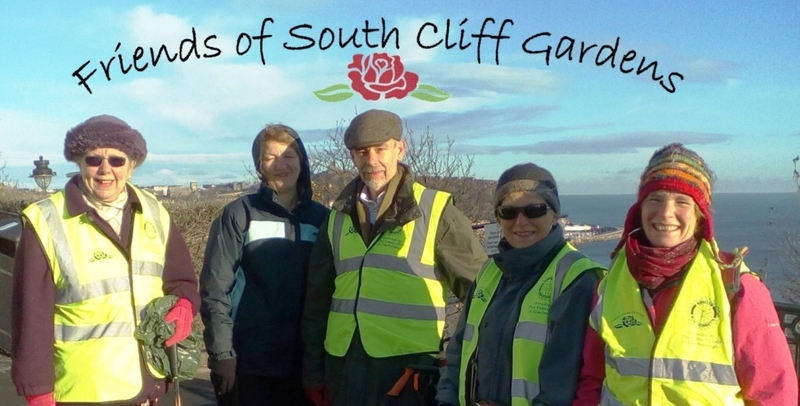 The Friends of South Cliff Gardens is a community group which was established in June 2006 to help look after the public gardens between Filey Road, Ramshill Road, Holbeck Road and the sea. Our aims include protecting and enhancing the natural beauty, wildlife, flora and fauna, historical interest and facilities of the Gardens; promoting and raising funds to improve the Gardens and encourage their use; and organising social and educational events & activities in the Gardens. Members receive a regular Newsletter and we hold Open Evenings and events throughout the year.